New York Times just posted a story about Iraqis chafing under the terms of a deal for China National Petroleum as it develops oil infrastructure in Iraq. The article is well written and seems to confirm many of the same discussions going on about Chinese strategies in Africa. In interests of adding original content to the Internet as opposed to just passing unchecked information along a giant conveyor belt of paranoia, I had a personal experience that touches briefly, but, in my mind, significantly, on this topic. 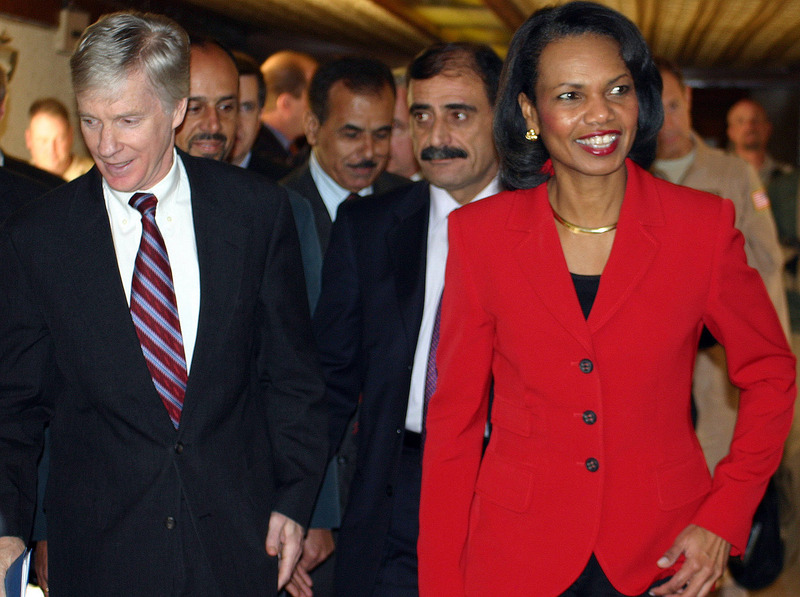 Ryan Crocker was in Seattle last spring, having finally stepped down from his position as U.S. Ambassador to Iraq. (He is presently retired in Spokane, Washington.) Crocker gave a wide-ranging talk, entitled “Middle East Briefing: Current Conditions in Iraq, Afghanistan, and Pakistan” to a packed house. Fortunately my handsome Chinese blazer made me stand out in the crowd, and I was able to ask him a question about the very topic at hand. Cathcart: Given that media outlets like the New York Times are beating the drum about the dangers of Chinese economic expansion into Africa and the Middle East, could you comment on the role that Chinese oil companies have played, and will continue to play, in the future of Iraq? I recall that President Talabani in particular has had close relations with the PRC and I’m wondering what the attitude is toward those relations. Crocker: I’m glad you asked this, because this is a hugely important question. Frankly, well, we are simply glad to have anyone come and invest in Iraq If it is the Chinese who can help the Iraqis to develop their infrastructure, we would be delighted. The gap between the amount of foreign investment that Iraq needs and the amount of foreign investment Iraq is receiving is immense, and so we welcome China, Russia, France — whoever can help, should help. We certainly aren’t barring the door to China and we are glad to see their engagement with the Iraqi government. Not that the above exchange completely mitigates the issues that Iraqis are having with Chinese companies today, but I think it is an important caveat when we read the Times report. And, from a pragmatic perspective, having China take some of the heat for being an arrogant foreign power in Iraq, maybe, just maybe, gives the U.S. a bit of a breather from that exhausting and carbon-infested role. Previous Previous post: Rino Nakasone Lives in L.A.